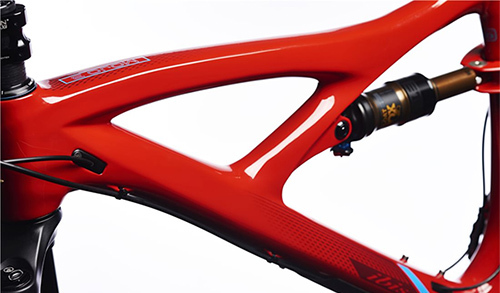 The Ibis Mojo 3 is offered in a wide variety of build kits – SLX, XT, X01 and Special Blend. We will quickly describe them all below. Many riders today are in search of a truly fun trail bike. Would you think that is easy to find right? Well, that is not necessarily the case! As the sport of mountain biking has evolved, so have the bikes. 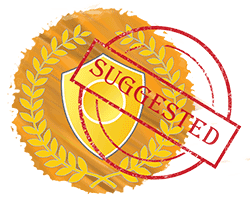 You will find top-level athletes requiring ultra-slack and long geometry, which the manufacturers of course make. 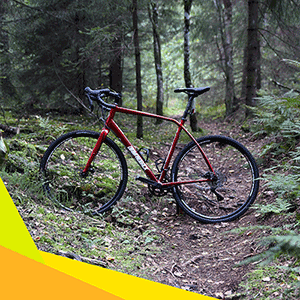 This is great for riders who ride extremely rough terrain at full speed all of the time, but can also take away from some of the liveliness that makes a bike fun to ride. Bring in the Ibis Mojo 3. This bike is modern but still maintains the fun qualities that many riders are on the search for. It is a through and through trail bike that will take you anywhere a trail bike should be able to take you (perhaps even more). There is just something special about the Mojo 3. Read on to find out what makes this one of the best (and most diverse) trail bikes available. Ibis uses the same frames on their Mojo 3 bikes. Black and red are available. The Ibis Mojo 3 bike comes in multiple different build kits – Special Blend, SLX, XT & X01. However, the frame is the exact same on every one of them. Both the front and rear triangles are made of carbon fiber to help keep it lightweight (about 5.5 pounds with a shock). The bike features 130mm of rear travel which makes use of a DW link system, and 140mm of front travel. These are good numbers for most of the trails that you will come across. All of the cables are routed internally through the frame which helps to give the bike a clean look. Here is where the interesting aspects of this bike start to show. Ibis made the Mojo 3 capable of running both plus and regular sized tires (27.5” diameter) on the same wheelset! So there is no compromise with the Mojo 3, no more going back and forth about if you should get a plus bike or not. The plus sized tires (up to 2.8” wide) will have you finding grip in places you never thought possible before. If you are the type of rider who likes to squeeze through tight lines with you wheels then no problem, just throw on some regular 2.3” or 2.5” wide tires. Boost hub spacing on the front (110mm) and rear (148mm), as well as intelligent engineering is what allows for the option of running the different tire sizes. So if you are the type of rider who likes to conquer diverse trails, on a fun bike, you should look at the Ibis Mojo 3. It is one of the most fun trail bikes out there! The Mojo 3 is offered in a wide variety of build kits and we will cover the 4 on Jenson USA. 3 of them are pre-decided build kits that are great for most people. However, there is also one called the special blend which is a more custom option. We will quickly describe them all below. *Note that all options feature a 1×11 speed drivetrain except for the X01 which features a 1×12. The special blend build kit is for people who want a customizable ride. You are able to change the stem, wheels, fork, handlebars, seat post, pedals, tires, and saddle. The downside to this is that the special blend comes with the cheaper Fox 34 Performance Series shock and an NX drivetrain which is okay. 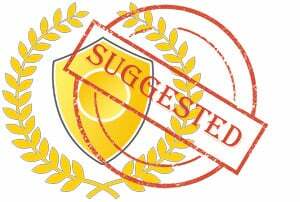 However, it is not as good as the other offerings on the site. Front & Rear Tires – HUUUUUGE selection! 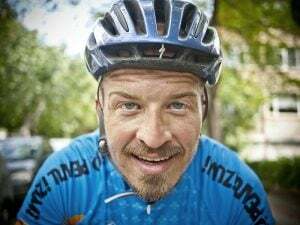 Overall it is a great option for people who want to invest more into the fork for example, but are happy with cutting costs at the drivetrain. So if you are picky about most parts, but not so much the drivetrain and shock, go with the special blend. The Ibis Mojo 3 SLX build comes with a Shimano SLX derailleur, shifter, and chain. It also includes Fox performance level suspension which features basic adjustment (a Fox 34 fork and Float DPS shock). The tires are a standard 2.35” Nobby Nic which will have to be changed if you want the bike to be set up as a plus bike, but otherwise are great. 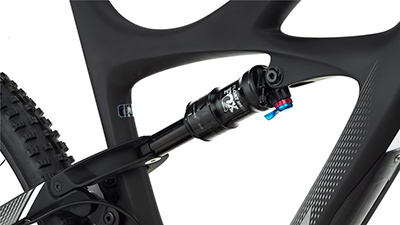 A KS LEV integrated dropper post is included along with a Race Face Aeffect crank. The wheels are Ibis’s in house very wide aluminum asymmetric wheelset. Overall this is a strong build for most riders. It does not feature anything too flashy, but will still ensure a good ride and good time out on the trails. The XT comes with the RockShox Pike RCT3 w/ 140mm on the front & Fox Factory Float on the rear. Here is when things start to get fancy. The XT build features a Shimano XT (a step up from SLX) shifter, derailleur, cassette, and XT brakes. A Fox Factory Float DPS with full adjustment takes care of the rear travel where a Rockshox Pike RTC3 fork is mounted to the front which also features an array of adjustment such as low speed compression, rebound, air, and 3-position compression. Like the SLX build, this also features the 2.35” Nobby Nic tires and a KS LEV integrated dropper post. The XT build does outdo the SLX version everywhere else though including the use of a carbon handlebar rather than an aluminum one like on the SLX, and a Race Face Turbine crank rather than the Aeffect crank. Overall if you are a serious rider and want a bike that has some top notch parts, this build is worth it. It is also only a bit over $1000 more than the SLX build, which is a fair price in my opinion. The X01 build is the top Mojo 3 build that you will find on Jenson USA. 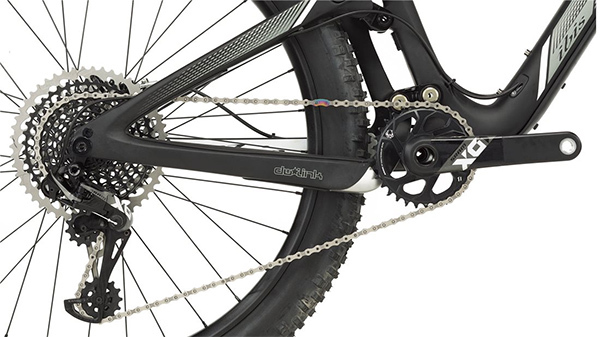 What you are paying for here is SRAM’s eagle X01 drivetrain. This is a 1×12 speed drive train that offers such a wide gear range that you can go virtually anywhere. The eagle X01 parts included are a shifter, derailleur, crank, 10-50 tooth cassette, and chain. Also included on this build is SRAM’s powerful guide brakes that will easily stop you in a hurry. Suspension is looked after by Fox. A Fox Factory 34 is mounted on the front where the Fox Factory Float DPS is on the back. Both are top of the line Fox products that are fully adjustable to meet your standards. The X01 build is also the only Mojo 3 build on Jenson USA that comes stock with plus sized tires. They are the 2.8” version of the Nobby Nic and offer supreme grip. So overall the Mojo 3 X01 build is pretty hard to be topped. Yes there are better parts available, but you would never need them. Really. This is a build that people will be impressed by from both performance and specification stand points. So if you are a bike enthusiast that wants a bike that will stand out from the crowd, without spending 10 grand, why not give this Mojo 3 X01 a try. It will not disappoint. Sizes are easy to understand for everyone which makes it quite easy to buy online. 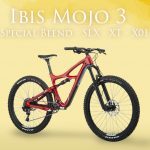 Ibis kept sizing relatively simple for the Ibis Mojo 3. It is available in small, medium, large, and extra-large. You will notice that the large and extra-large frames come with 2 mount locations for a water bottle holder where the small and medium comes with only 1. It is recommended that for the extra mount on the bigger frames, a side loading water bottle cage is used. 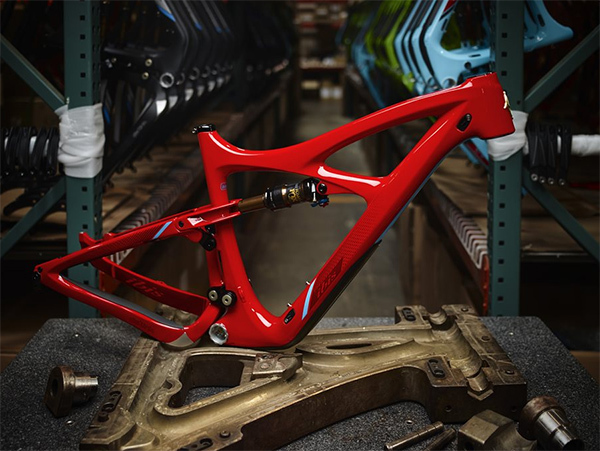 The Ibis Mojo 3 bikes follow pretty standard bike assembly procedures. They come partially assembled and then it is the buyer’s responsibility to get the rest together. If you are comfortable working on bikes then you should have no issues doing it yourself. If not you may want to protect your investment and take it to a local bike shop to have it built there. 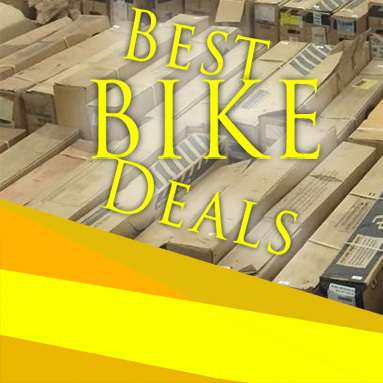 Or you can order bike assembly from Amazon, it’s quite popular by the way! Let’s hear what some customers had to say about this bike. One said “all it’s cracked up to be”. 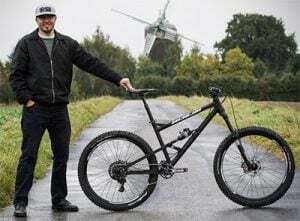 If you have read any other long, extensive reviews on this bike such as the article on Pinkbike, then you know that is a strong compliment. Other customers continued along this fashion saying that “the bike is awesome”, “no regrets with this purchase”, and other similar comments. So from what we can see, everything about this bike is what customers have wanted. 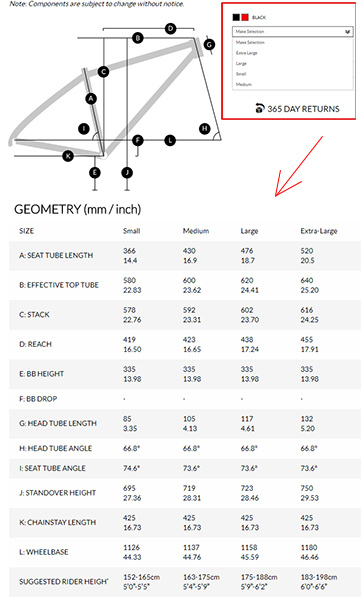 Furthering this notation is the 5 star ratings on every build kit available on Jenson USA. 5 star ratings don’t lie. This bike was designed to be fun, and the customer reviews prove that Ibis was successful in this goal! It is a 27.5” plus capable bike, that doesn’t ride like a plus bike (even when plus tires are used). Its 130mm of rear and 140mm of front travel seem to hit the sweet spot for all but the most demanding of trails. However saying this, it does not offer the same plow through riding style as many more aggressive bikes do. From all of the intense research that has been done on this bike, I can safely say that it is an all-around winner. It is evident though that this is not what it is designed for. It is designed to fly over the terrain, or quickly negotiate to new lines without trouble. So if you want a bike that will put a smile on your face in almost any condition, the Mojo 3 is your bike.